Roche Diabetes Care asked for our help to create a platform for people with diabetes – to give them a voice and to serve as a community where they can meet other people with diabetes and other relevant persons involved in society or healthcare. A platform where they can find relevant information, support and ask questions. 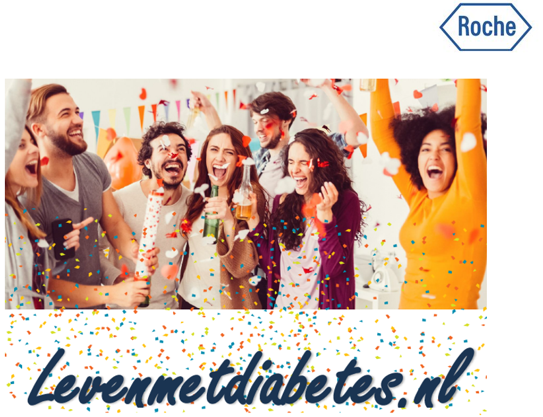 We created a website called “Levenmetdiabetes” (Life with diabetes), which we are further expanding into a community platform where individuals can meet, connect, share stories, tips and tricks. From this central destination we wanted to bring people into the community by taking content to where they’re already engaging. So, we went about building impactful social media pages on Facebook and Twitter to support the website and importantly take the growing community out into the mainstream. We publish new articles, testimonials, tips and tricks across all the channels every week and we publish posts and engage with the community on social media everyday, to keep up the interaction and traffic to the website. For the kick-off of Levenmetdiabetes, we launched a 30-day challenge to promote the platform and motivate people (with or without diabetes) to write down the carbohydrates they ate and the activities (burned calories) they did each day, which resulted in hundreds of people sharing their stats and participating in the challenge. After the launch of the website we got 500+ website sessions each month. The creation of social media pages ensured 5K+ average reach on Facebook per month and 36K+ average impressions on Twitter each month. Ultimately, the most important result from this campaign was the fact that there is now a community of support for people suffering with diabetes and looking for others to help them take back control. "We have really taken a step in the right direction for our ‘Live with Diabetes’ platform. I look forward to take this platform to the next level together with my agency to a fully-fledged community for people with diabetes"